Data Note: For this analysis, we used a spring onset index developed by Mark D. Schwartz (University of Wisconsin-Milwaukee) and others at the USA National Phenology Network. This index uses temperature measurements from individual weather stations to estimate the first day of leaf emergence in each state. 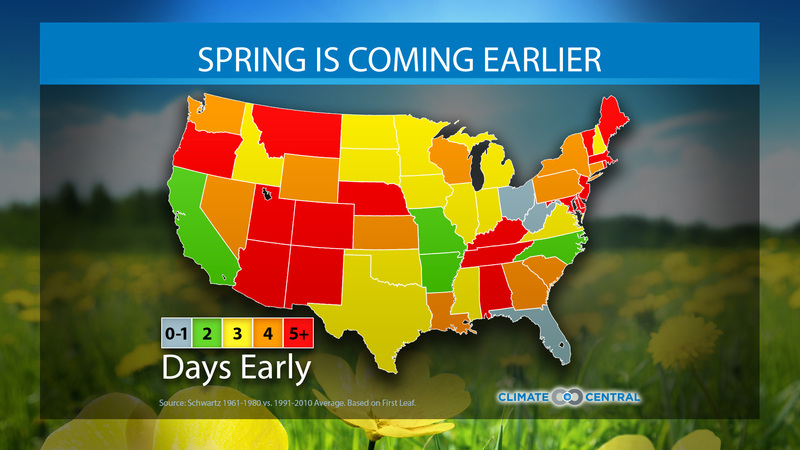 The change in spring arrival date was obtained by comparing the 1991-2010 average with the 1961-1980 average.